The third morning brought with it thick mist that restricted the view to 10 meters or so, and infused the bush that the magical quiet so unique to misty mornings in the African bush. As the sun started to burn through the mist, we made our way to the Hippo pools, where we met Daniel, the ranger in charge of looking after tourists in this spot for the last 18 years! Incredibly, he has been cycling the 10km through the bush from Crocodile bridge to Hippo pools every morning, and back again at night, every day for 18 years, and even though he has had some rather nerve-wracking experiences, he has never had to use his gun. 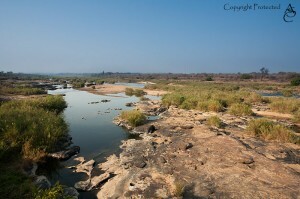 He escorted us into the river bed, where we spent a few minutes drinking in the beauty and photographing the hippos. We will definitely go back to hippo pools whenever we stay in the region! After hippo pools, we idled slowly up the H4-2 towards Lower Sabie. 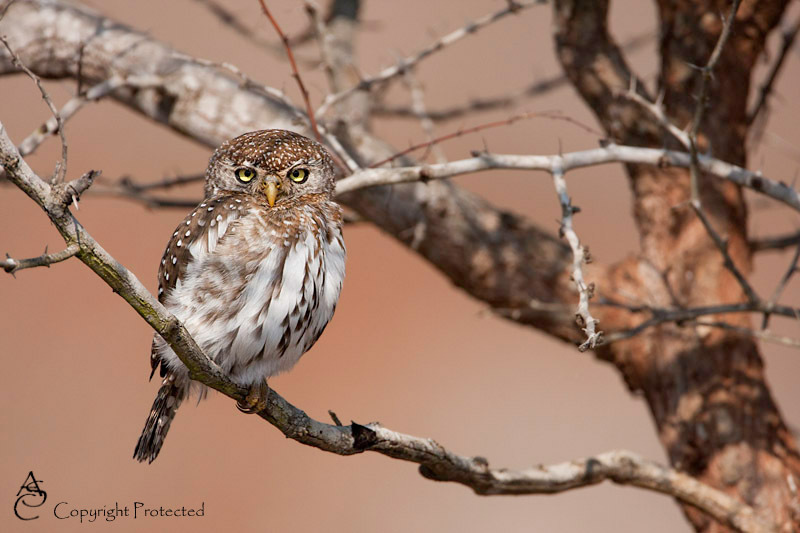 Shortly after re-joining the tar road, we found a little pearl-spotted owlet. After giving us the run-around for a few minutes, it finally settled on a dry Acacia-tree and allowed us to take a few shots. The bridge at Lower Sabie was as fabulous as ever, but unfortunately the light was no longer conducive to good photography. 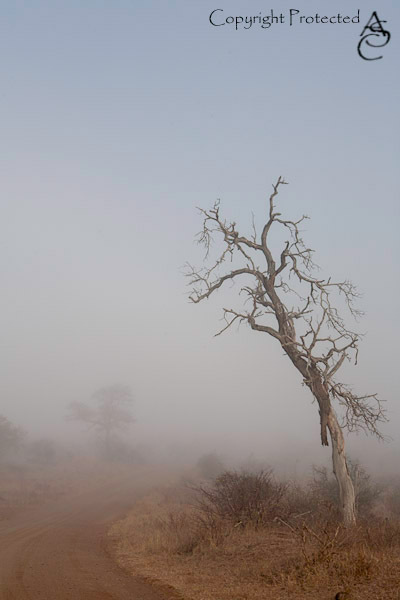 That failed to make the experience of simply being in this very beautiful are in the Kruger Park any less enjoyable. After hanging around Lower Sabie and the Sunset dam for a while, we made our way back to the Ntandanyathi hide, where we spent the rest of the afternoon enjoying the silence and photograph any visiting birds, while the resident Crested Barbet tried his utmost best to get us to share our mini-cheddars with him! 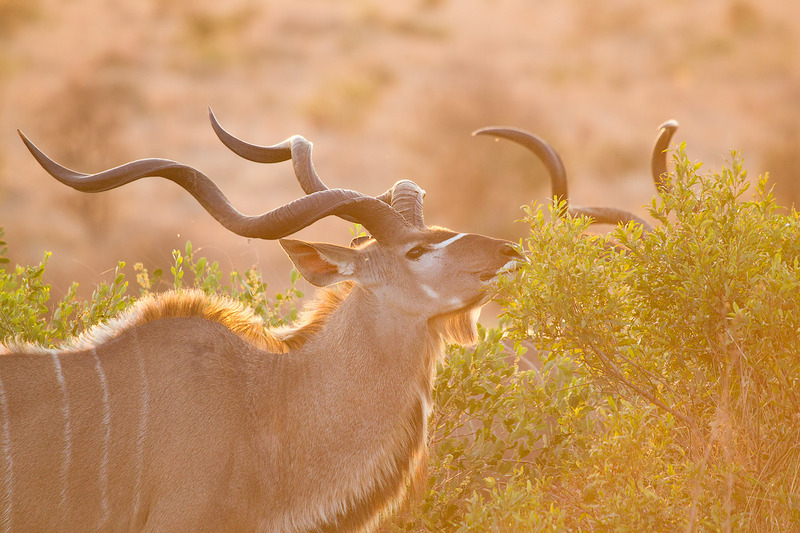 On our way back to the camp, we had one last sighting – two beautiful Kudu bulls. Having made the decision not to rush the packing of the car, we got out of camp on our way to Malelane gate rather late on our last morning. 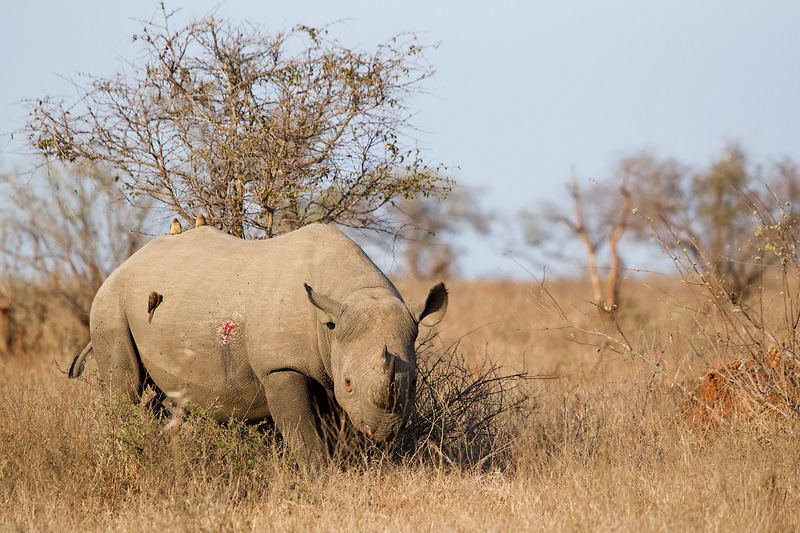 This turned out to be the best thing that we could possibly have done, since we had hardly tuned off the tar road and onto the S25, than we met a stunning specimen of a Black Rhino, walking (uncharacteristically) in the open, right next to the road. There could be no better end to our brief trip that the opportunity to photograph one of these magnificent, and badly threatened animals, up close, in the open, and in sweet light.